John Addison is renowned for his insight and wisdom on leadership, personal development and success. He is a sought-after, world-class speaker and motivator, as well as a business author. 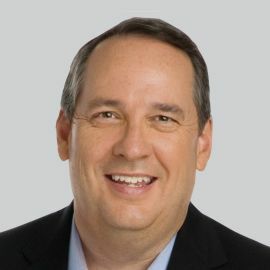 Addison, former co-chief executive officer of Primerica from 1999-2015, emerged as a leader shortly after joining the company in the early 1980’s. During his more than 25-year tenure at Primerica, Addison rose in management and was critical to helping the company transition after the departure of its founder. Following the financial crisis of 2008, he spearheaded the process of separating from Citigroup. These efforts culminated with a successful IPO in 2010 that was 22 times oversubscribed. Guiding the organization through these monumental changes while also working to keep morale high, Addison developed a passion and talent for motivating others that allowed him to inspire and empower over a million people during his career. He is continuing his quest to build and shape the next generation of leaders. Addison, the newly appointed Leadership Editor of Success Magazine and CEO of Addison Leadership Group, currently serves on the Board of Directors for Primerica and LegalShield, and has previously served on the boards of the Direct Selling Association, the Georgia Conservancy, the Gwinnett County Chamber of Commerce and the Gwinnett Children’s Shelter. He holds a B.A. in economics from the University of Georgia and an MBA from Georgia State University. Addison currently resides in Clermont, GA, with his wife, Loveanne. He is the proud father of two sons and has a passion for gardening.